Cisco Nexus 9000 Series was added a new control plane capability for users and customers not yet opting for or needing a full-blown application policy infrastructure. Cisco’s BGP Control Plane for VXLAN is designed to appeal to operators of multitenant clouds looking for familiar BGP routing protocol features with which to scale their networks and make them more flexible for the demands of cloud networking. VXLAN, which scales VLAN segmentation to 16 million endpoints, does not specify a control plane and relies on a flood-and-learn mechanism for host and endpoint discovery, which can limit scalability, Cisco says. BGP Control Plane for VXLAN can also serve as an alternative to Cisco’s Application Centric Infrastructure (ACI) control plane for the Nexus 9000s. The ACI fabric is based on VXLAN routing and an application policy controller called Application Policy Infrastructure Controller (APIC). BGP Control Plane for VXLAN runs on the standalone mode versions of the Nexus 9000, which requires a software upgrade to operate in ACI mode. Cohen sidestepped questions on whether Cisco would now offer another controller just for the BGP Control Plane for VXLAN environments in addition to the ACI APIC and APIC Enterprise Module controllers it now offers. 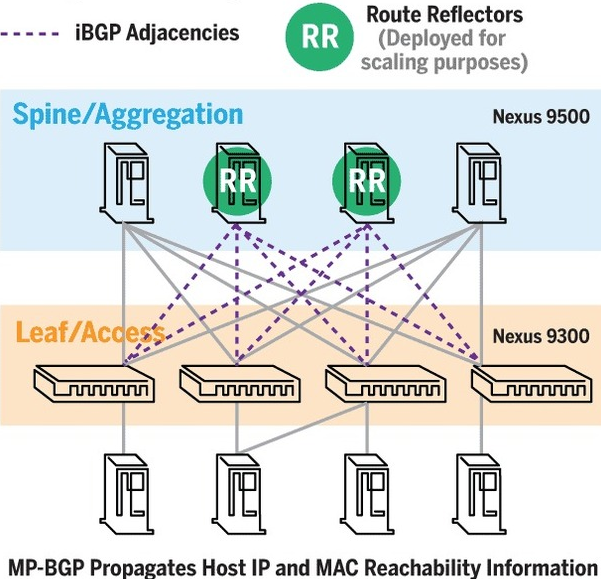 Cisco Nexus 9000 customers can use BGP as a control plane for VXLAN overlays. It is based on Ethernet VPN and is targeted at users who do not want to deploy multicast routing or have scalability concerns with VXLAN flooding-and-learning. Cisco says BGP Control Plane for VXLAN will appeal to customers who do not want to deploy multicast routing or who have scalability concerns related to flooding. It removes the need for multicast flood-and-learn to enable VXLAN tunnel overlays for network virtualization. The new control plane uses the Ethernet virtual private network (EVPN) address-family extension of Multiprotocol BGP to distribute overlay reachability information. EVPN is a Layer 2 VPN technology that uses BGP as a control-plane for MAC address signaling / learning and VPN endpoint discovery. The EVPN address family carries both Layer 2 and 3 reachability information, which allows users to build either bridged overlays or routed overlays. While bridged overlays might be simpler to deploy, routed ones are easier to scale out, Cisco says. BGP authentication and security constructs provide more secure multitenancy, Cisco says, and BGP policy constructs can enhance scalability by constraining route updates where they are not needed. The BGP Control Plane for VXLAN now allows the Cisco Nexus 9300 and 9500 switches to support VXLAN in both multicast flood-and-learn and the BGP-EVPN control plane. Cisco says dual capability allows resiliency in connectivity for servers attached to access or leaf switches with efficient utilization of available bandwidth. The 9300 leaf switch can also route VXLAN overlay traffic through a custom Cisco ASIC, which the company touts as a benefit over Broadcom Trident II-based platforms from competitors – like Arista. VXLAN routing at the leaf allows customers to bring their boundary between Layer 2 and 3 overlays down to the leaf/access layer, which Cisco says facilitates a more scalable design, contains network failures, enables transparent mobility, and offers better abstract connectivity and policy. Cisco says BGP Control Plane for VXLAN works with platforms that are consistent with the IETF draft for EVPN. 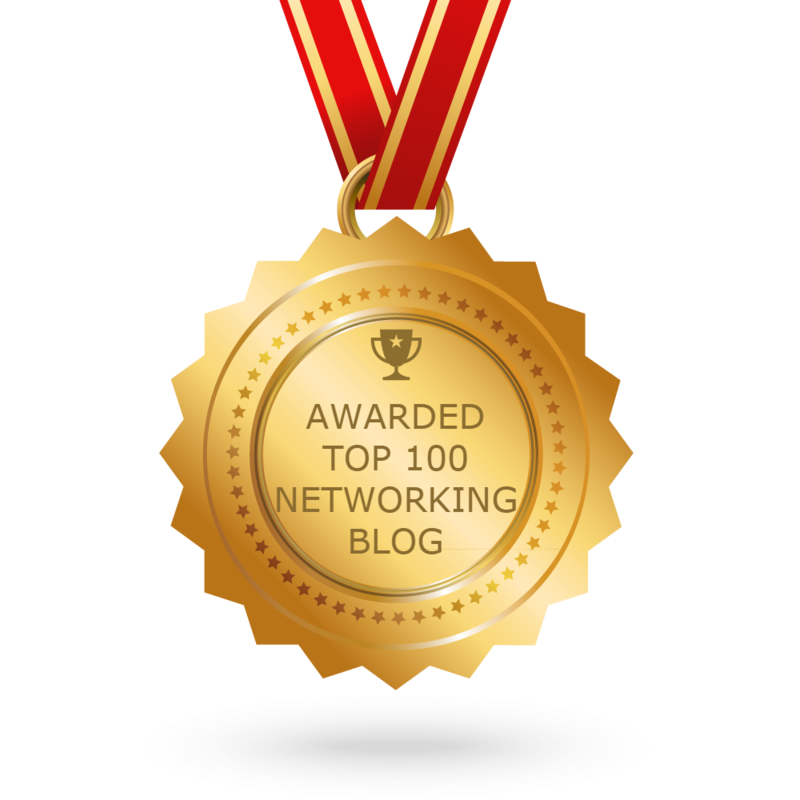 Several vendors, including Juniper and Alcatel-Lucent, have implemented or have plans to implement EVPN in network virtualization offerings. AT&T and Verizon are co-authors of some of the IETF drafts on this capability. BGP Control Plane for VXLAN is available now on the Nexus 9300 and 9500 switches. It will be available on the Cisco Nexus 7000 switches and ASR 9000 routers in the second quarter.